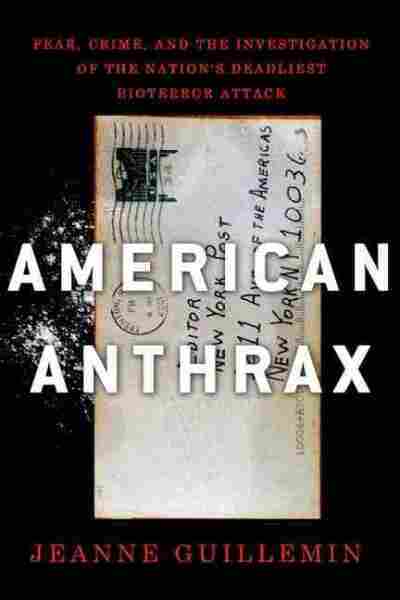 Poison In The Post: Revisiting 'American Anthrax' In an intriguing and insightful new book, anthropologist Jeanne Guillemin looks back at the 2001 anthrax attacks that killed five and infected 17 others. In the anxious aftermath of Sept. 11, 2001, former Defense Secretary William Cohen warned that "the next terrorist attack could well involve a contagious agent carried to our soil or airspace in a briefcase or a bottle." Within weeks, letters laced with anthrax were sent to United States Sens. Tom Daschle and Patrick Leahy, NBC News anchor Tom Brokaw, The New York Post and American Media Inc., the publisher of The National Enquirer. Killing five people, infecting at least 17 others and contaminating workplaces in New York, D.C. and Florida, the combined attacks were the worst act of bioterrorism in American history. In American Anthrax, Jeanne Guillemin provides an intriguing and insightful account of a time in which Americans found it difficult to breathe easily. A trained anthropologist and senior fellow in the security studies program at the Massachusetts Institute of Technology, Guillemin is equally adept at weighing forensic evidence in a book that reads, in part, as a whodunit, putting a human face on the tragedy by telling the stories of the postal employees exposed to the lethal disease; and providing a judicious, data-driven assessment of the response of politicians, national security experts and public officials to the crisis. Guillemin recaptures the climate of fear that made it impossible for the government to strike a balance between informing and alarming the public. The use of tons of chlorine dioxide gas to decontaminate the Hart building of the U.S. Senate; a lengthy, leak-filled FBI investigation of the wrong man; the decision of the Bush administration to use the attacks to build support for a war against Iraq — all of these things, Guillemin writes, served to ignite a media feeding frenzy. In the fall of 2001, a Newsweek poll revealed that 8 of 10 Americans thought it at least "somewhat likely" that a massive biological or chemical attack was imminent. They were not reassured when Postmaster General Jack Potter promised to send every American a postcard describing how to identify potentially dangerous mail. Following the attack, policymakers became fixated on bioterrorism, "almost as if no greater threat to national health existed," writes Guillemin. The federal budget for biodefense research and development, which had been $271 million in 2001, skyrocketed to $3.73 billion in 2003. By contrast, appropriations for chronic disease prevention, childhood immunization and occupational safety declined. These billions of dollars of expenditures may or may not be responsible for the absence of subsequent bioterrorism attacks on our shores. What is certain is that the investment didn't lead to a conviction. The FBI built a strong circumstantial case against Bruce Ivins, a microbiologist at the U.S. Army Medical Research Institute of Infectious Diseases. But Ivins killed himself in 2008, leaving the whodunit unresolved. Since the likely murderer was a government employee with access to classified (and lethal) material, despite evident psychological problems, Americans, Guillemin points out, had another reason to doubt that their government could protect them. Guillemin understands that the United States had to prepare for biological and chemical warfare. 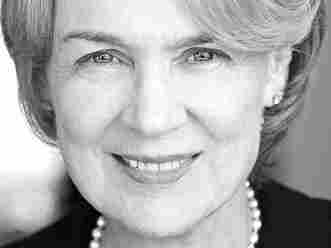 She makes a compelling case in American Anthrax, however, that the response was "extravagantly out of proportion to known threats," and that in these perilous times, we can — and we must — learn to live with fear, not in fear.